It is the most common and most frustrating of all the questions you will face. If you have a retail jewellery store, you will hear this question all too often. 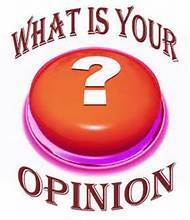 Your customer comes in to ask your professional opinion about a piece of jewellery bought from another store or online. They spent their money with someone else instead of with you but value your knowledge and expertise. To make matters worse, they often want your opinion for free. You may want to grab their ears and shake some sense into them, but it is better to answer the question rationally and professionally. If it turns out they got a fair deal; compliment them on their good taste and savvy buying and then suggest add-ons to go with their new item. At least you can still get some of their money. If they made a bad purchase, you need to proceed carefully. It is easy to come across angry with the customer for not shopping with you. They might see it as jealousy, and you will lose both their trust and future business. Never suggest they return the item for a refund. If you have a similar item in stock, show it to them and quote your price. Then, keep quiet and let them decide if their deal was good or not. If the item is poorly made, calmly show them the defects. Use a loupe or video microscope so they can see the problem clearly. Explain what needs to be done to make the jewellery usable and durable. Quote your price to do the work, and again, keep quiet. They will decide whether to return the item or have you make the repairs. It is even more challenging if they got completely ripped off. Nobody likes to feel they made a big mistake as it may make them feel stupid. Or worse, they may give up on buying any jewellery in the future. Instead, let them know that you can understand why they bought the item, it has a great look or a seemingly low price. But sadly, a few people in our trade are less than honest and either neglected to disclose relevant information or told an outright lie. Unfortunately, they happened to run into one. Typically in these cases, getting a refund may be difficult or impossible. Offer to give them credit for any precious metals or stones toward a new item so they can recover some value from their mistake. If they should decide to take legal action against the seller, you can prepare a written report of your findings and act as an advocate. With the growth of online shopping, you will be facing this question more often. Train your staff with prepared responses. The goal is to be the helpful expert without belittling your customer.